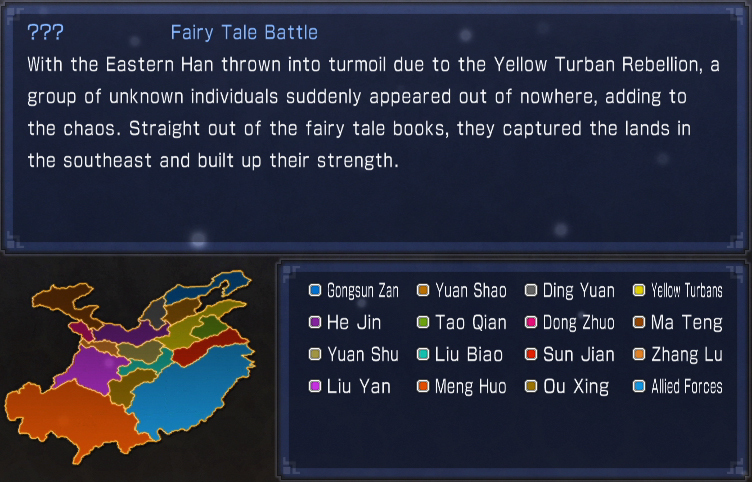 This guide was made by Perseonn Balthasaar. 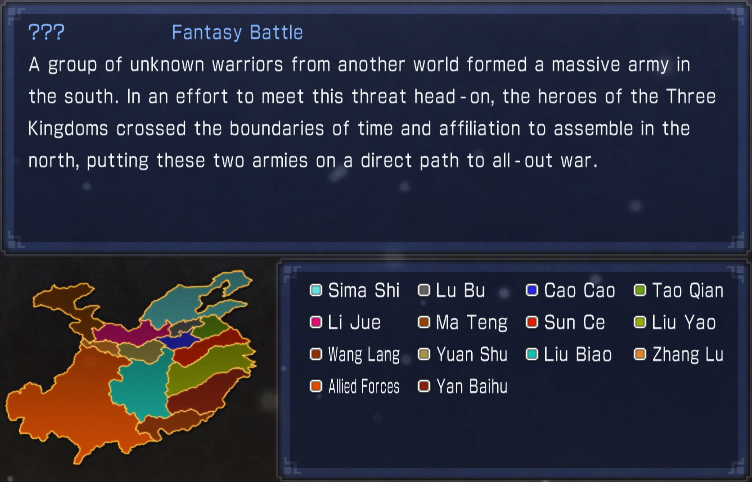 There are scenario DLC providing a variety of different scenarios to extend playtime, also including a new war room during the strategy phase. 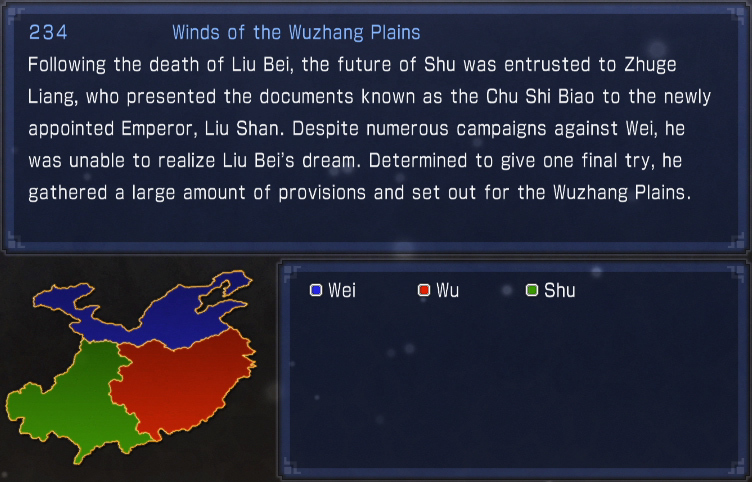 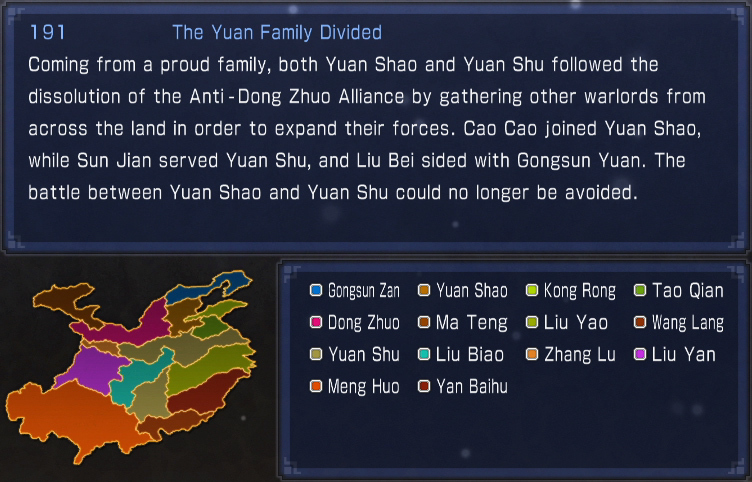 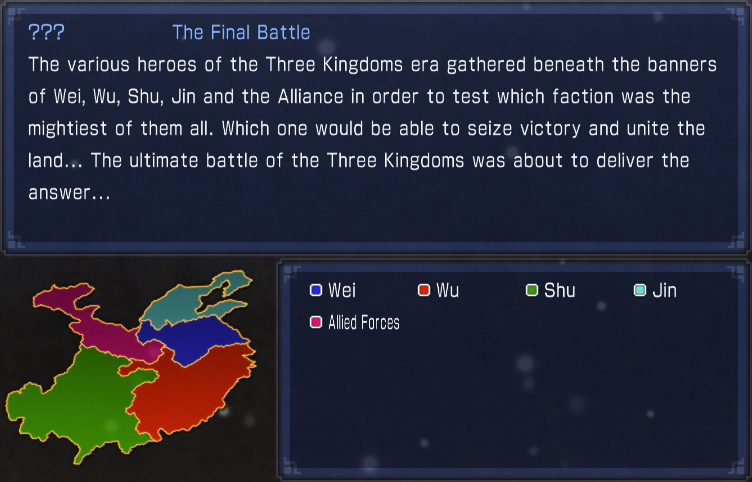 Additionally certain scenarios have Special KOEI created characters that will only appear in specific scenarios unlike Xun Yu, Ma Teng, Hua Xiong & Zhang Chunhua who will always have their created look in all scenarios. 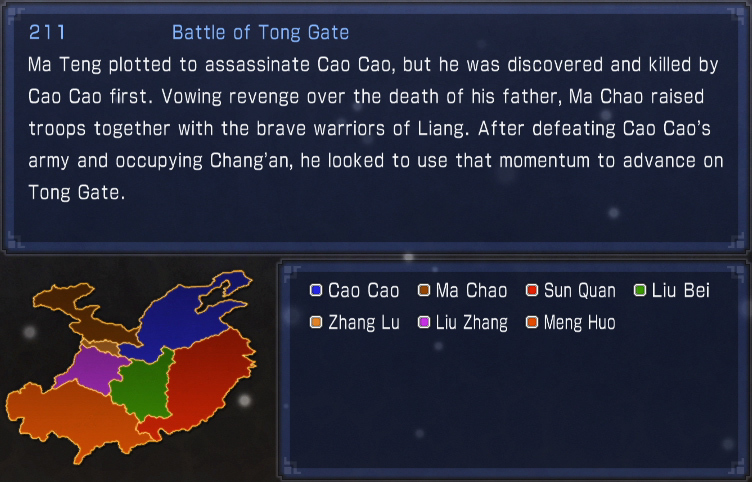 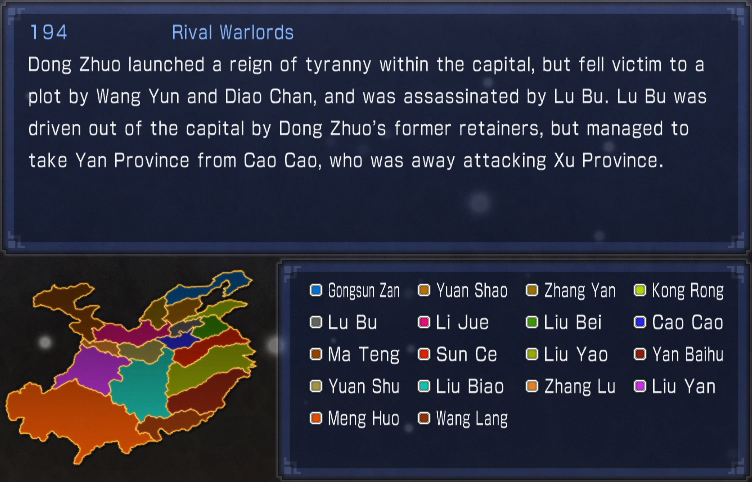 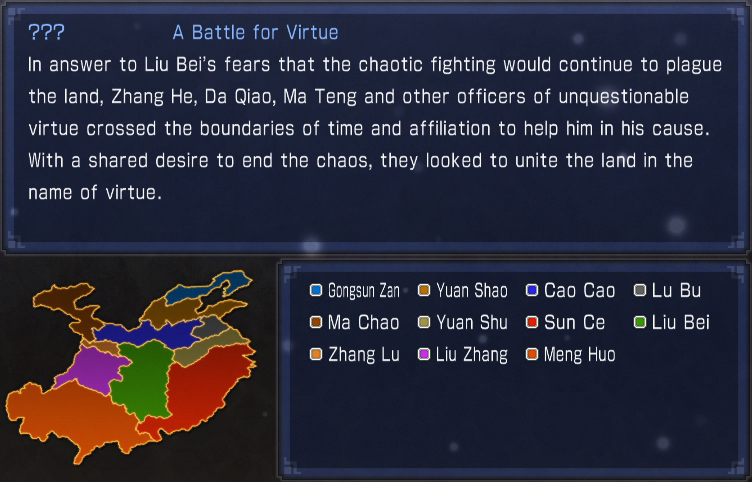 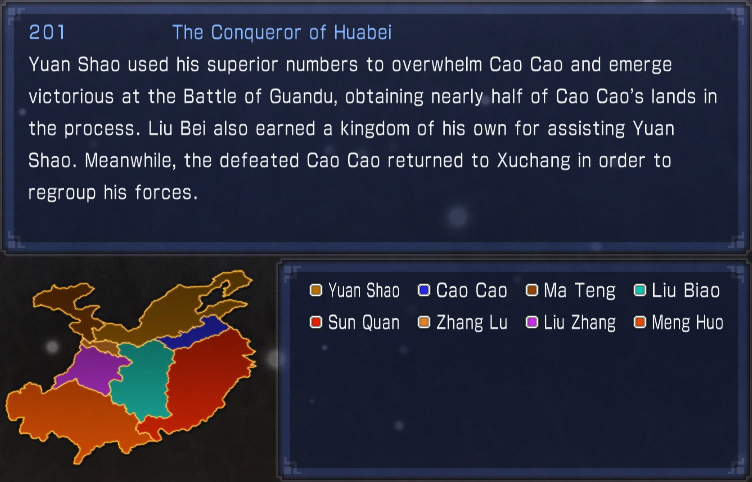 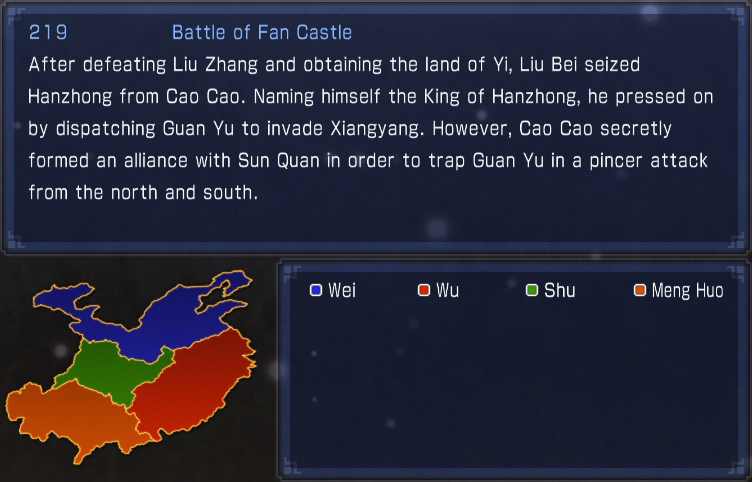 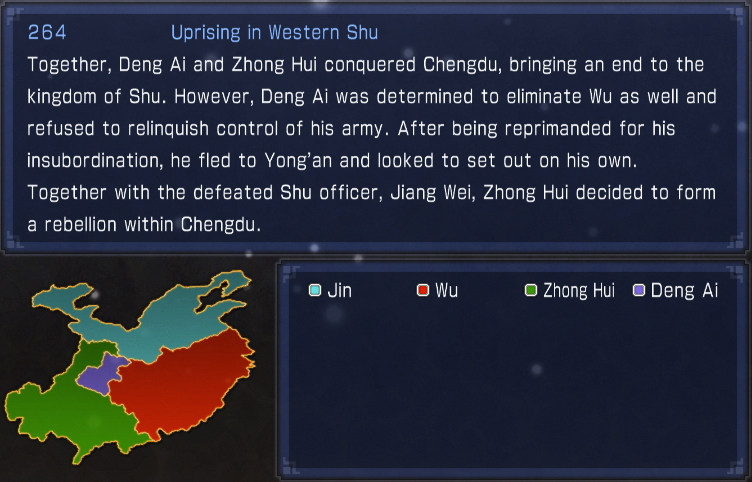 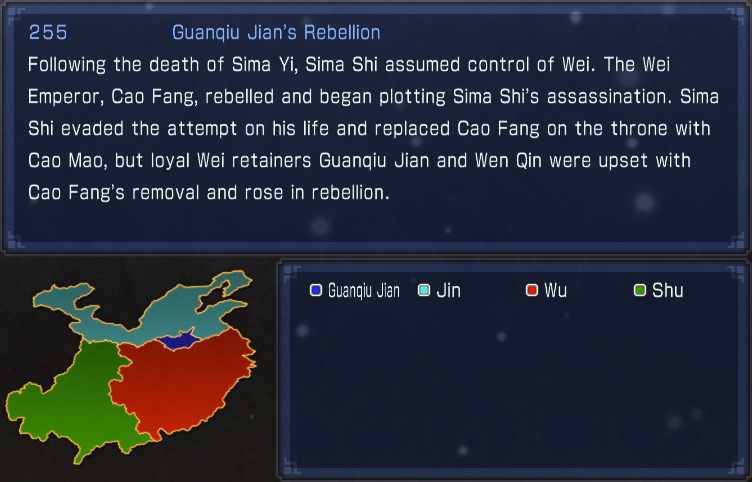 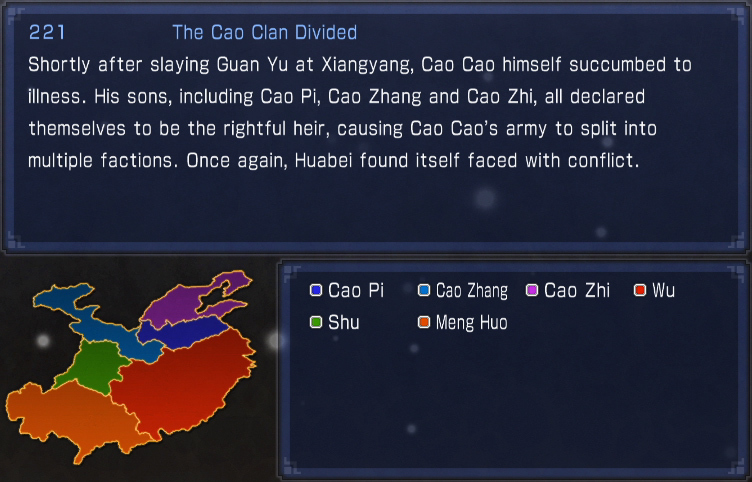 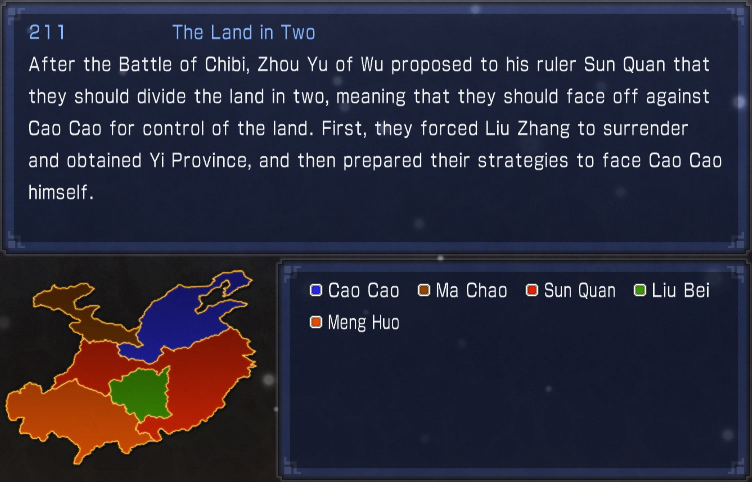 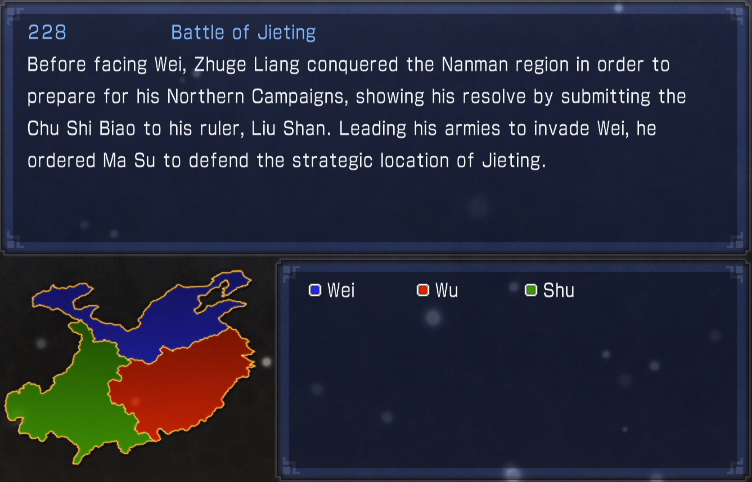 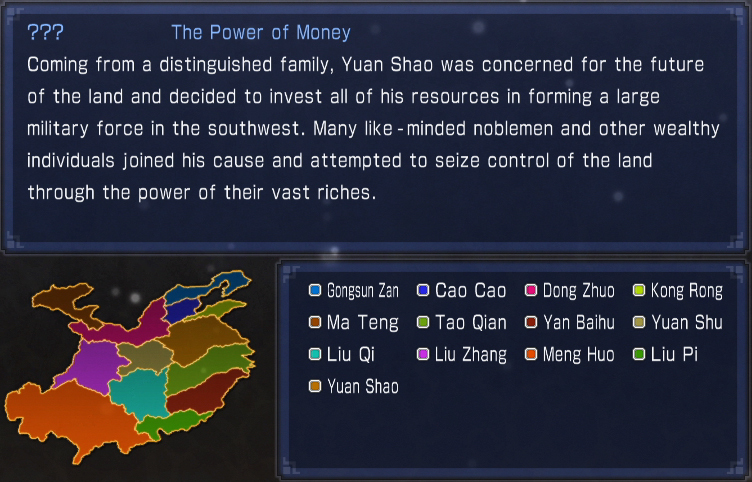 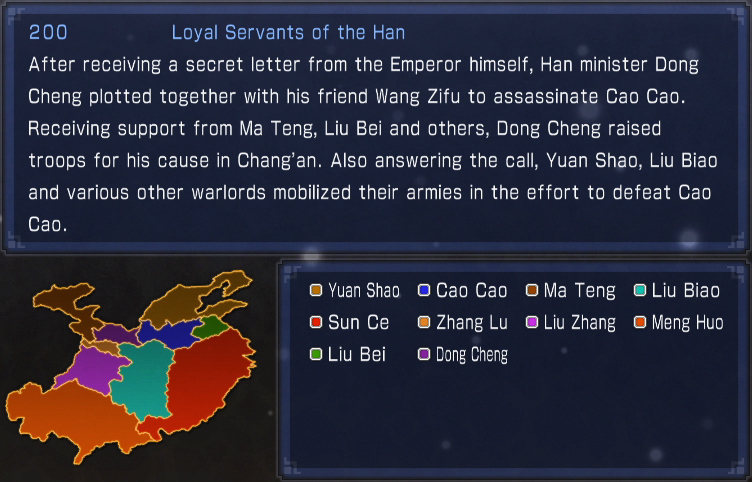 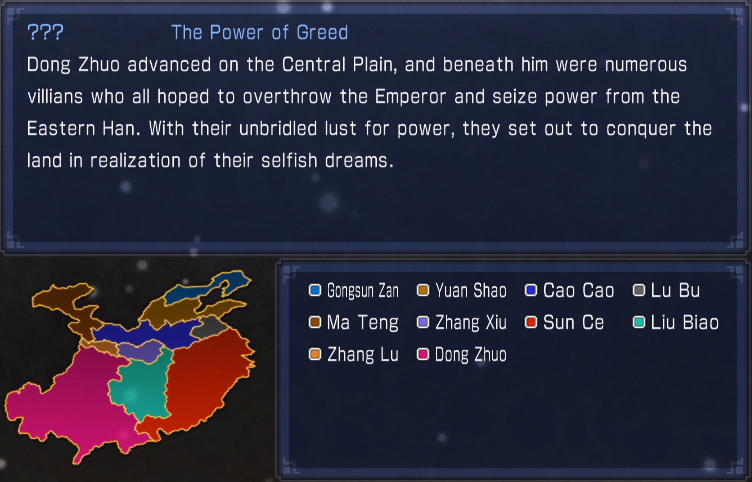 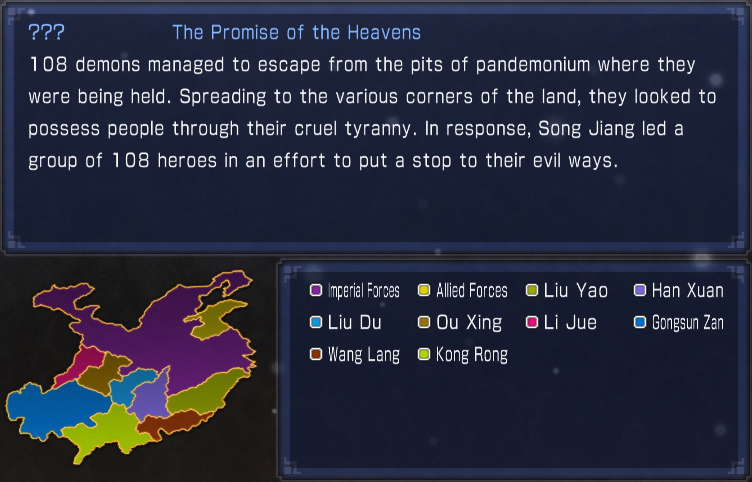 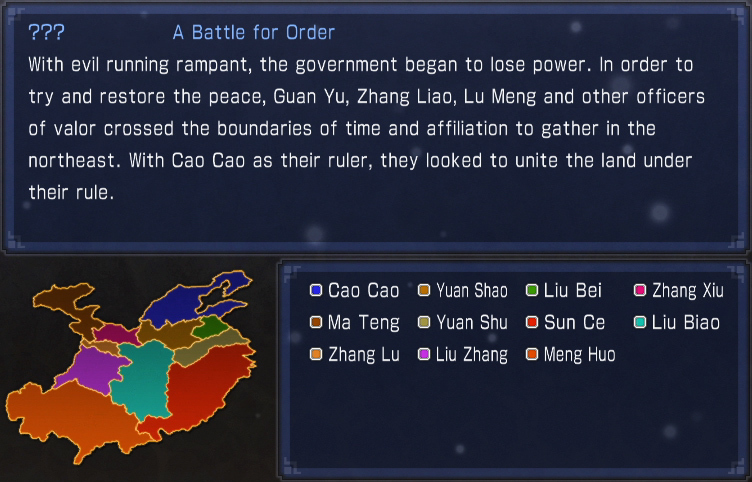 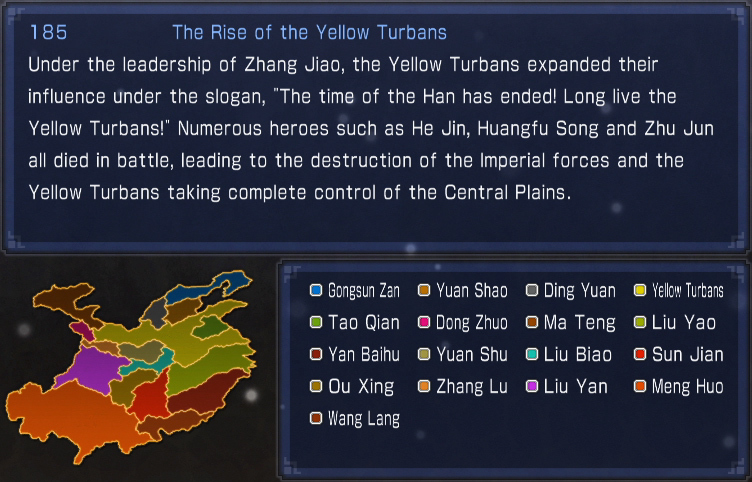 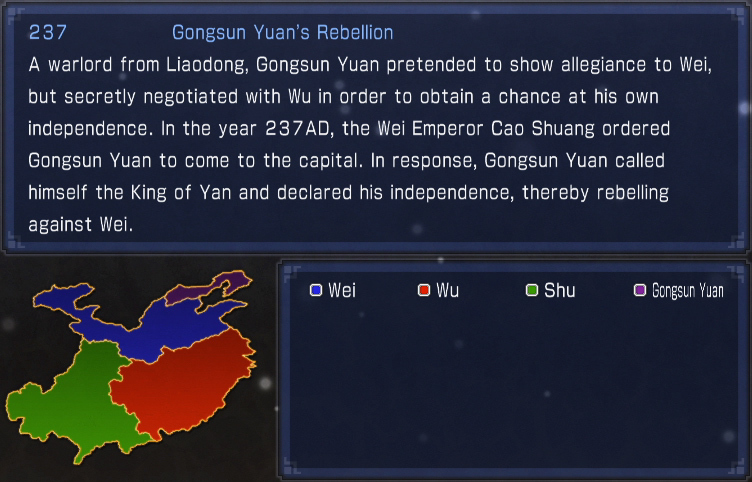 The Rise of Cao Cao (historic).